Despite the risks, a Saudi student at a Canadian university says he's glad Canada is speaking out against his government's human rights record. A Saudi university student at a Canadian university said he's glad Canada is speaking out against his government's human rights record — even though it means he's being told to return to a country where he fears he could be jailed or "maybe worse." "I agree with what Canada's government did. I strongly agree," the student told As It Happens guest host Matt Galloway. "I wish they did it before this time." 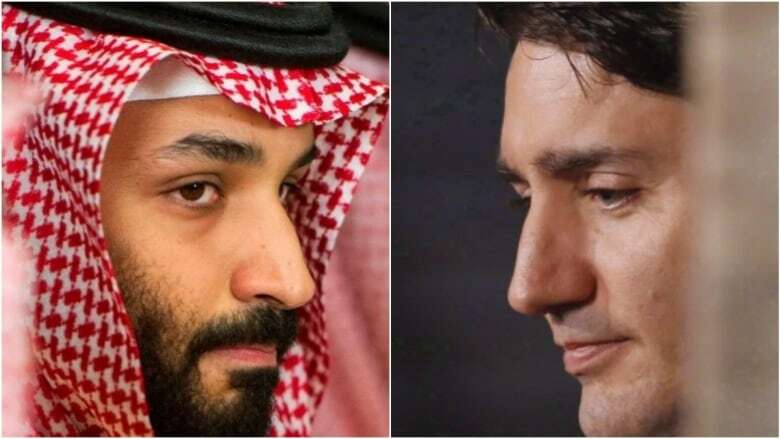 He is one of 8,300 Saudi post-secondary students in Canada who have been ordered by their government to withdraw from their studies and return home amid a diplomatic feud between Ottawa and Riyadh. As It Happens is withholding the student's name and specific location for his own protection. He said he fears returning to Saudi Arabia under its current government. Since he's lived in Canada, the student said he's taken advantage of this country's freedom of expression to speak out against his own government, criticizing its Western-backed war on neighbouring Yemen. "As a Saudi citizen, I extremely disagree with what's happening in Yemen and I don't like for our government to do this," he said. "They are killing people there." The Yemen war has killed more than 10,000 people, displaced more than two million and driven the country to the verge of famine, according to the United Nations. Despite its current spat with Saudi Arabia, Canada has approved a $15-billion sale of Ontario-made combat vehicles to the Kingdom. The student told As It Happens he fears his history of speaking out against the war will lead to his persecution in Saudi Arabia. "They will arrest me, first of all. Then my family will not be able to visit me or see me," he said. "Exactly what's happening now with Samar Badawi and her brother and her family, that's what will happen to me. And maybe worse. I don't know." Blogger Raif Badawi has been in a Saudi jail since 2012. 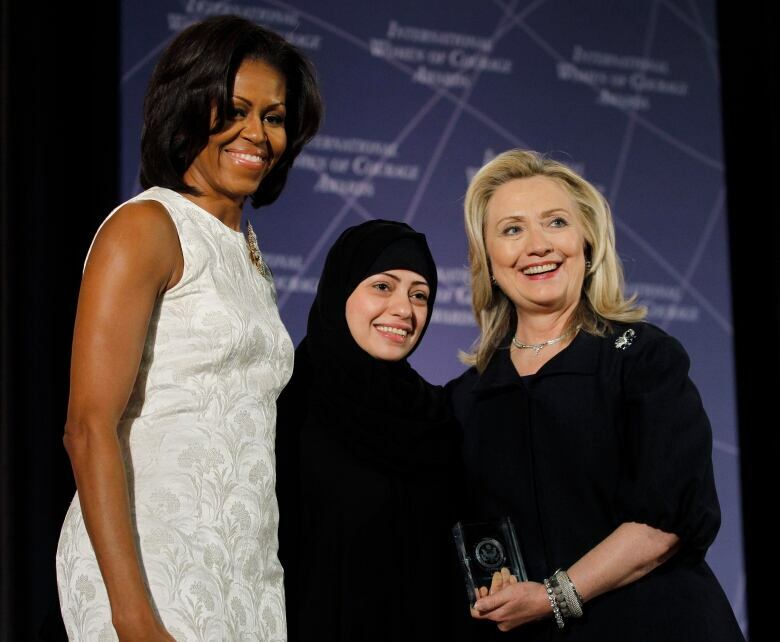 His sister Samar, a women's rights activist, was arrested last week. Raif's wife and their three children became Canadian citizens earlier this summer. An official email from the Saudi government gave the student one month to get his affairs in order and leave, he said. If things don't cool down between Canada and Saudi Arabia before the Sept. 6 deadline, he said he will consider applying for refugee status. His lawyer told him he has a good case for an asylum claim, he said. But many of his fellow Saudi students may not have that option, and he said they also desperately don't want to leave the country. "We love the lifestyle in Canada in general, the freedom," he said. "I love my country. I love Saudi Arabia. But [the] Saudi government is [a] really bad government and they are absolutely​ against human rights." Written by Sheena Goodyear. Produced by Jeanne Armstrong.